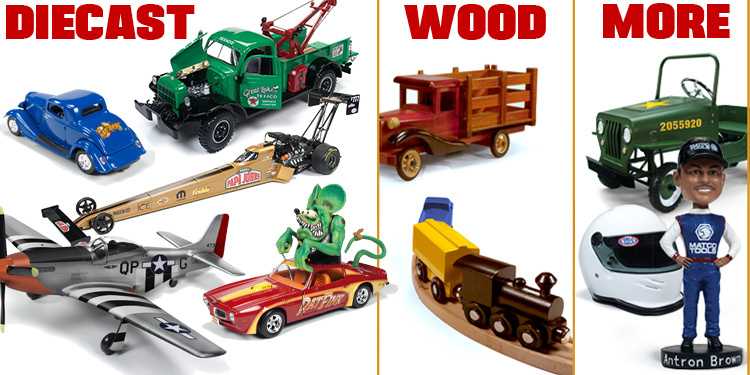 Ertl Collectibles® - Custom & Premium Die-Cast. Diecast, Collectibles, Airplanes, Cars, Trucks, Motorcycles, Vehicles. ADD YOUR LOGO TO ANY OF OUR PRODUCTS! Knockout Promotions is the Custom & Premium division of Round 2, LLC. When you partner up with us, you are dealing directly with the manufacturer. Our sales team has over 75 years combined experience in the Custom & Premium business. Let us help you develop a custom promotion for your organization that fits your budget and delivers your message. Choose an item that's right for you! Please note we do not customize individual models nor provide replacement parts. With over 2500 castings to choose from on our Tooling List, we're sure to have exactly what your company needs. Brand promotion has never been more exciting! We offer you customizable products that most promotions companies can't provide! 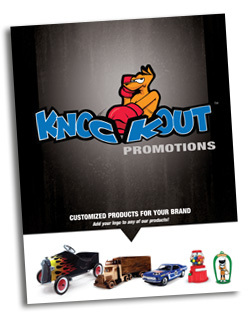 Get started today on your custom promotional project! Please note we do not customize individual models. Minimum orders start at 500 pieces. copyrights, and other rights owned. Use of this website constitutes your acceptance of our Terms of Usage.